'Sparks Fly' is Taylor Swift's fifth single and the music video has just premiered on her official website. The video uses footage of her performing the song on her 'Speak Now Tour', which is great as I missed out on her tour when she came to the UK and I can finally see some really good quality footage. I loved the bit where she's singing and dancing in the rain as she tweeted about it and how she thanked her fans for supporting her. I would've loved to be there and watched her in the rain- it made it soo atmospheric! I also predicted she would use concert footage given the single cover, showing her in her sparkly golden dress. This may also mean that 'Sparks Fly' will be her last single off 'Speak Now' though I am still hoping she releases 'Haunted' as a single because it is just so amazing and lots of fans love that song. It is the track that stands out the most in her album 'Speak Now' so I really hope she does it. 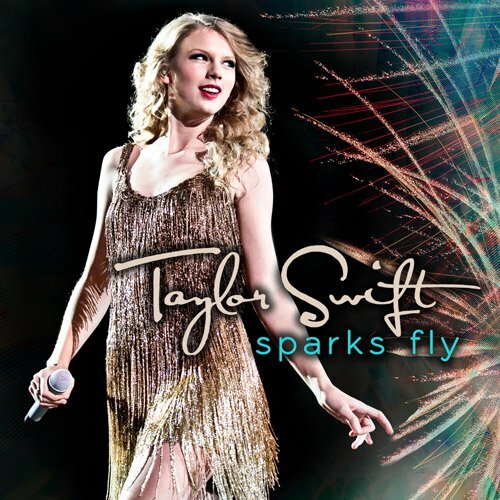 What do you think of Sparks Fly? sf from Taylor Swift on Vimeo.